Underpinning is primarily undertaken to arrest further movement within a structure such as a house or corporate building. 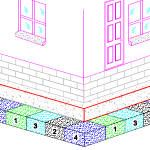 This movement may be as a result of inadequate foundations or due to poor subsoil underneath the foundations. 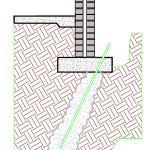 Underpinning work can provide extra support to the subsoil, accomplished by pressure grouting, or by reinforcing the foundations themselves with piles and ground beams. 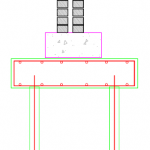 In the latter case, a pile and beam arrangement is used when the soil is unsuitable for cement grouting (soils such as silts and clays that resist penetration by cement), or in badly affected areas where grouting alone will not sufficiently address the problem. If you are in the public sector, a developer or a contractor, and you are considering working with us in relation to underpinning, contact us in our Dublin office on 01 6310300 or in our Cork office on 021 4345999.